The SEC's 3-2 vote came four years after Congress directed the agency to find ways to root out conflicts. (Bloomberg) — Sweeping changes imposed by U.S. regulators on the credit-rating industry will force firms to disclose more about their methods and prove analysts aren’t pressured to issue bond grades that please Wall Street. What the raters won’t have to change is their business model, which drew the ire of lawmakers and consumer advocates after their role in the 2008 credit crisis. They will continue to profit by charging fees to the issuers of bonds they rate. 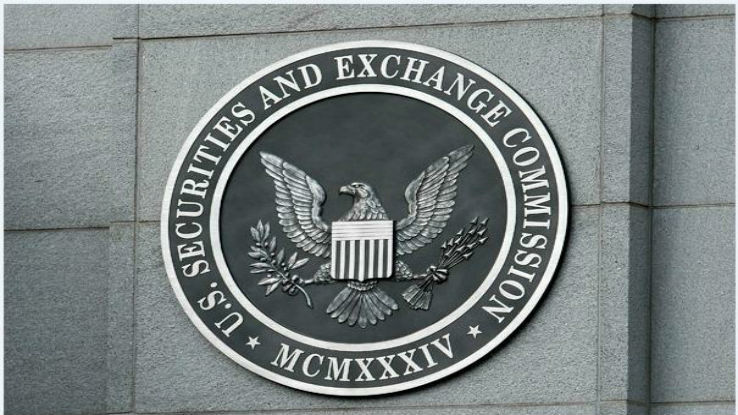 The Securities and Exchange Commission yesterday completed its rules to rein in companies including Moody’s Investors Service, McGraw Hill Financial Inc.’s Standard & Poor’s and Fitch Ratings Ltd., whose ratings influence everything from global bank-capital standards to bonds pension funds can own. The 3-2 vote, with both Republican dissenters saying the rules went too far, came four years after Congress directed the agency to find ways to root out the conflicts. “It is good as far as it goes, but our work is far from complete in getting at the fundamental conflicts of interest present in both the issuer-pay and subscriber-pay business models,” said SEC Commissioner Kara M. Stein, a Democrat who supported the rule package. Credit raters came under fire after they consistently gave top ratings to flawed mortgage-backed securities, helping to fuel the housing bubble that burst in 2008 and contributed to the worst economic downturn since the Great Depression. The Senate Permanent Subcommittee on Investigations found the rating firms “allowed Wall Street to impact their analysis, their independence, and their reputation for reliability. And they did it for the money,” Senator Carl Levin, a Michigan Democrat who is chairman of the panel, said at the time. Moody’s and S&P awarded top ratings to mortgage securities packaged during the five-year housing boom, deeming them as safe as government bonds. About 90 percent of AAA securities backed by subprime mortgages from 2006 and 2007 were later downgraded to junk status, Levin’s committee said. Such revisions forced banks, pension funds and insurers to sell holdings, contributing to $2 trillion in losses and asset write-downs worldwide. One rule requires the firms to re-examine ratings done by analysts who leave to join a company after grading its products. Raters that violate the ban on mixing sales and ratings could have their registrations suspended or revoked. Seven smaller credit raters, including Morningstar Inc. and Kroll Bond Rating Agency Inc., are permitted by the rules to apply for exemptions to the conflict-of-interest provision. The rules also require that the firms establish internal controls for ensuring they follow their own criteria for rating bonds. SEC examinations in recent years found rating firms didn’t follow their methodologies while others failed to separate analytical work from sales pressure. The changes are a “constructive step” toward reforming practices that contributed to the 2008 meltdown, said Jeffrey Manns, a law professor at George Washington University. Suspension is “the nuclear weapon that the SEC could use,” Manns said in an interview. Dennis Kelleher, president of Better Markets, a nonprofit promoting tighter regulation of the markets, said the SEC’s action is an improvement but not a solution. “Until the conflict of interest inherent in the ‘issuer- pay’ model is eliminated or at least significantly limited, truly objective and reliable credit ratings will remain a lofty goal, not a reality,” Kelleher said. “A majority of the commission has taken the novel approach of establishing what amounts to a thought-crime,” Gallagher said at yesterday’s meeting. Rating companies, which in 2010 faced the possibility that Congress would impose more radical changes, greeted the SEC’s action with some relief, saying the regulations provide clarity. “The markets must have clear and consistent rules for credit-rating agencies, and the SEC’s regulatory framework will help ensure investors have confidence in the rating process,” Daniel Noonan, a Fitch spokesman, said in an e-mailed statement. The raters face the possibility of further restrictions. Congress told the SEC to study an idea proposed by Senators Al Franken, a Minnesota Democrat, and Roger Wicker, a Mississippi Republican, to establish an independent board to select which firms grade asset-backed bonds. That would eliminate the practice of bond issuers shopping around for the best rating. “I’m frustrated that my amendment to end the pay-to-play scheme in the credit rating industry still isn’t fully implemented,” Franken said yesterday in a statement. — With assistance from Zeke Faux in New York and Cheyenne Hopkins in Washington.